Today it is my pleasure to Welcome author Victoria Scott to HJ! Hi Victoria and welcome to HJ! 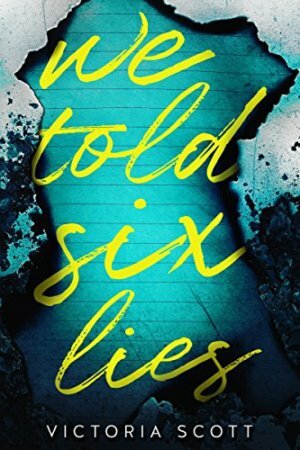 We’re so excited to chat with you about your new release, WE TOLD SIX LIES! WE TOLD SIX LIES is a story about a teen boy, Cobain, whose girlfriend goes missing. As he searches for her, the police are looking at him as a suspect, and he starts to wonder – as more and more people begin to accuse him of doing something to Molly – that maybe he did. “Desparate times call for desparate resurrections.” Lots of foreshadowing for both my main characters in that one line. Cobain got his name from Kurt Cobain, the book includes handwritten notes from my main character, and my cousin did many of the illustrations found inside. What first attracts your Hero to the Heroine and vice versa? A bully, of all things. If your book was optioned for a movie, what scene would you use for the audition of the main characters and why? For Cobain, it would be when he is confronting another character (trying to avoid spoilers here), and for Molly it would be when she and Cobain are at a party. Readers should read this book…. Yes, they should. Ha! They should read it if they love unreliable narrators, and narrators that are truly flawed. What are you currently working on? What other releases do you have in the works? 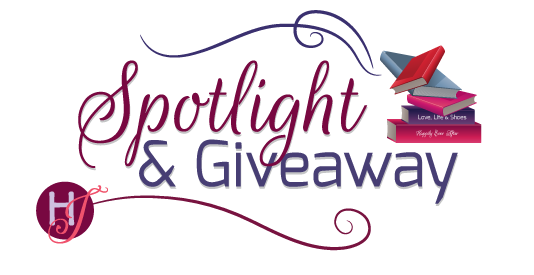 My focus has been stolen by goScribbler.com lately, which is a subscription box company for novelists. But I do have some ideas for new titles out to my editor, and am waiting to hear back. Fingers crossed! Thanks for blogging at HJ! To enter Giveaway: Please complete the Rafflecopter form and Post a comment to this Q: What white lie do you think is okay to tell? And tears filled your eyes. You bit down on your anger, your entire body shaking in my hands. You weren’t mad at this memory you were holding, I don’t think. You were mad because you didn’t want me to see the emotion on your face. But I saw it anyway. It was the right thing to say. I could see it in the lift of your shoulders. I raised my hands to your jawline. I couldn’t wait a second longer, Molly. I just couldn’t. My thumbs drew circles on your cheeks as I pulled your face closer. If the world had split between our feet, asphalt falling to the center of the earth, I would still have found a way to hold onto you. “You’ll be sorry,” you whispered. I brought my mouth to yours. You pushed your body against mine, and I wrapped my arm around your waist, and we just kind of…fell into each other. It was the first time we’d kissed slowly, my thumb tracing your jawline, your hands warm against my upper back. Our lips moved softly, tongues softer still, and when our kiss ended quietly, we kept our arms around each other, your cheek on my chest, my chin resting on your head. In that one perfect moment, we could have crashed into the sun and I wouldn’t have noticed the heat. And you laid your head against me. I thought of myself as an animal then. As your protector. You held my leash in your soft white hands. If someone upset you, all you had to do was release me, and I’d have torn them to pieces just to see you smile. Victoria Scott is the acclaimed author of nine novels including Fire & Flood, The Collector, and We Told Six Lies. Victoria’s books have been YALSA-nominated, have appeared on the Spirit of Texas Reading Program, and have been included on Bank Street College of Education’s Best Books of the Year list. 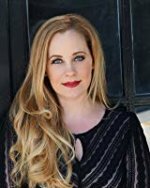 She’s been featured in USA Today, Girls’ Life Magazine, and Glitter Magazine, and her stories have been translated and sold in fourteen countries across the world. Victoria is also the owner and founder of Scribbler, the only subscription box for writers, which has been featured by BuzzFeed, WFAA, and Her Campus. When the real reason you were late to a family event was having a quickie – lol. Does this dress make me look fat? No, of course not. How much do we owe on the credit card. ?Not much is what I always tell my husband . I don’t believe any white lies are ok to tell. I don’t really think it’s okay, but I do it anyway –> when my mom asks if the kids are sick, I always say no. If she thinks they’re sick, she will bug the daylights out of me with advice. White lies I use to protect myself or someone I love. My mom is especially overbearing. She constantly wants me to do stuff with her. I don’t have the free time to comply. I have to make up excuses.